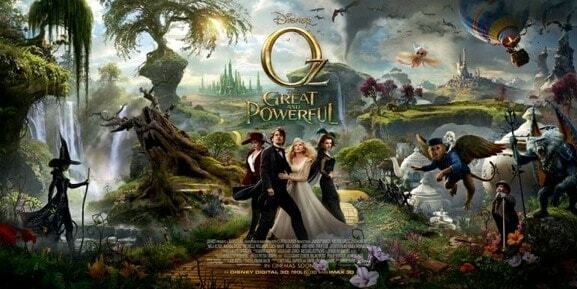 Disney’s Oz the Great and Powerful is now in theaters everywhere! I’ve now seen it twice, and was so happy to revisit the movie in theaters with my parents and my four-year-old daughter. She absolutely loved the movie and impressed my dad with how well she sat throughout the entire film. Four may not be an age some parents are comfortable taking their children to the theater, but that doesn’t mean they can’t get to know the characters from Oz the Great and Powerful through these fun activity sheets! You can download these now for hours of easy entertainment. Is your kid asking for an Oz-themed birthday party? These activities will delight your party guests. My little cousins would love these after seeing the movie this week! Oh O love the Original I know this one will be great ! Thank you for sharing this! Always looking for fun things to do with the kids. Can’t wait to see the movie either! I haven’t seen it yet but can’t wait. These activities will be great for my grandkids or for an Oz themed party. It will be interesting to see how this oz is done. My young nieces will love these activity sheets at their upcoming birthday party! Thanks for the great share!! I can’t wait to see this movie! It looks so good!